I think it’s important to learn about different cultures, religions and cities because learning has the effect (I believe) of enlightening and strengthening the mind. Understanding the perspectives of others helps you understand who you yourself actually are. 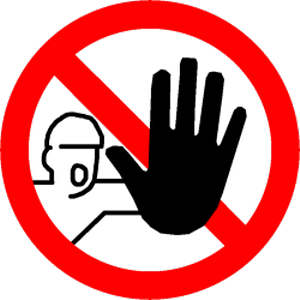 Intellectually closed-minded people are quite powerful in society (occum’s razor types) but they are frequently exposed as fearful of any challenge to their way of life. For them, learning about something ‘foreign’ might compromise their own identity. Open-mindedness is the path to enlighten and superior thinking, innovation and progress. This guide to Mecca is a side project created to inform. As per Saudi law, non-Muslims are not permitted an entry into the city of Mecca. This might seem like a shock to westerners but rules are rules so get over it. No point over analysing this point as a non-Muslim. People who travel to this place with fraudulent passports or any other documents might receive some kind of strict punishment or could be arrested. There was a non-Muslim dude who entered Mecca named: Burton but there’s more on that later. Drinking of Alcohol is strictly prohibited in the place of Mecca. No surprise there as alcohol is banned in Islam. Quite an impressive doctrine considering the prevalence of alcohol again in the West but also in Asia. All such intoxicants are not allowed as per the law in Saubi Arabia which is a devoutly Muslim country. 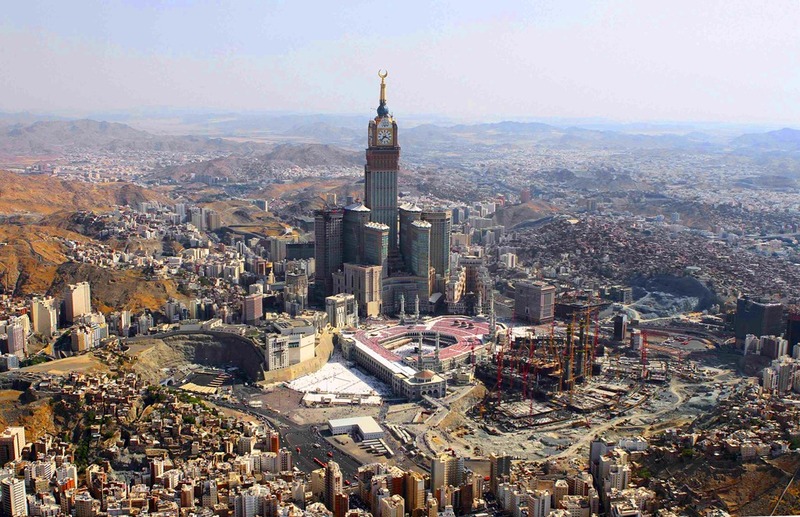 Mecca is a city in Hejaz and is also the capital of the Makkah Province in the county of Saudi Arabia. The city of Mecca is located at about 70km from Jeddah and is located in the narrow valley. This is located at a height of 277m which is approximately 909 feet above the sea level. The present population of Mecca is estimated to be 2 million, but this place has thrice the number of visitors paying a religious visit to this place every year. The visitors who are mostly Muslim pay a visit to this place in the religious period of Hajj, which falls in the lunar month called as Dhu-al-Hijjah. Mecca is known as the birth place of Muhammad and is also known to be the site of the Muhammad’s first revelation of the holy book Quran. This was initially known to have existed like a cave which was 3.2 kms from Mecca. The city of Mecca was always considered the holiest city in Islam and the pilgrimage which is known as Hajj is obligatory for all those Muslims who are eligible (physically able). Mecca is also known to be the home to Kaaba which is also one of the holy sites of Muslims and is also known for the direction of the Muslim prayer. Dar Al Tawhid Makkah or known as the Inter-Continental – This is known to be one of the luxurious hotels with some beautiful views of the city of Mecca. The staff at his hotel can speak Arabic, English, Urdu, Punjabi and French. Inter-Continental Mekkah – This is also one of the well known hotels in this place which offers luxury inside the walls of the city. Hotel Elaf Al Huda – This hotel has some simple rooms along with air conditioned rooms and is located at just 15 minutes walk from the Haran. They also have a provision of shuttle till Haran and the tariff of the rooms here start at $105. Mövenpick Hotel & Residences Hajar Tower Makkah – This hotel is a part of the prestigious Abraj Al Bait complex and is located centrally at the Haram court and faces the King Abdul Aziz Gate. The holy city of Mecca was once ruled by the descendants of Muhammad, later by sheriffs and most of them acting as independent rulers or as vassals to much bigger political parties. This narrow valley town was absorbed into the Saudi Arabia in the year 1925. 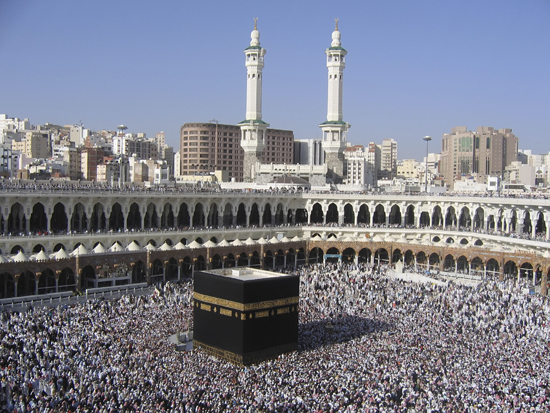 Close to as early as the 5th century, Kaaba was the place which saw the worship of deities of Arabian Pagan tribes. The most important pagan deity for the Arabians was the Hubal which was then replaced by the quarish tribe. These changes remained as it is till the 7th century. The camel caravans were first used by the grandfathers of Muhammad and were also considered to be a major part of the improving economy of this place. All the exports from this place like leather, metals or live stock were loaded on camels and were sent to places like Syria and Iraq. Some of the historic stories and findings also show that there were many goods from other continents which passed through the city of Mecca. The people of Mecca during that period also signed treaties with the Byzantines and the Bedouins and also took care of the safety of those people who were travelling by providing them with water as well as pasture rights. There are a number of places which are a must visit for those who visit the city of Mecca. 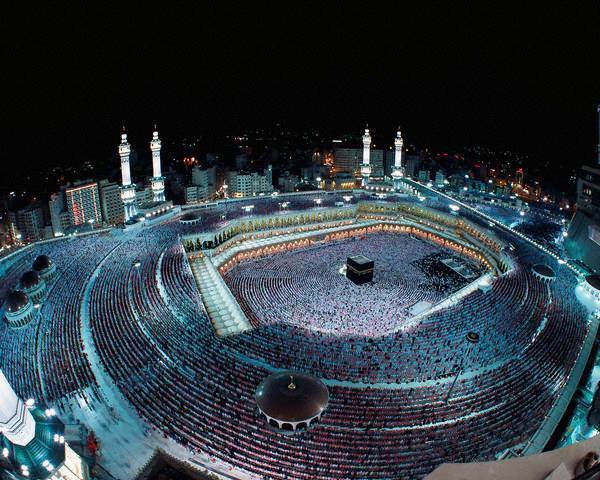 Mecca is well known for the Masjid-al-Haram which is known to be the largest mosque in the World. The Masjid-al-Haram surrounds the Kaaba, the place where the Muslims turn while offering their prayers. This mosque is also known by many as the Grand Mosque or the Haram. The city of Mecca has lost most of its glory and heritage from the past few years and this happened due to the Wahhabist hostility. There are also quite a few monuments in this place with a history of more than 1500 years which have also survived the Saudi rule. The Mecca also is the house to the Worlds 2nd tallest building which stands tall at 1972 feet and is located at the street from the Masjid-al-Haram. This tower is named as Abraj Al Bait Towers. The famous Ajyad Fortress was demolished for the construction of these towers and this had then become a major cause for a tiff in between Turkey and Saudi Arabia. Another famous place in Mecca is the Zamzam well which is known to be a home for spring waters. The Qishla of Mecca is another place which is an Ottoman castle, which faces the Masjid-al-Haram or the Grand mosque and helps in defending the city from any attack. A cave near Mecca by the name Hira is located on the mountain called Jabal Al-Nūr is another tourist location. This is located in the region of Tihamah in the present Saudi Arabia. 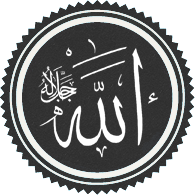 This place is famous as Mohammad was believed to have received his first revelations from Allah trough the angel named Jibreel who is also known as the Angel Gabriel in Christianity. One can also visit the five pillars of Islam and also pay a visit to the Kaaba Masjid al Haram where one can get to pray and read the holy Quran. Mina, which is a site of the stoning of the devil. Muzdalifah, which is a desert where many pilgrims spend a night. One needs to take care of the kind of clothing which they wear during the visit to Mecca. While doing their prayers at Mecca, Muslims need to shed all the signs of wealth and need to wear simple and white clothes which are commonly called as Ihram. The dress code for men in Mecca comprises of two white clothes, one which covers the body and another which is worn around the shoulder. Women can wear a simple white dress with a scarf which covers the head or they are also allowed to wear any of their native dress. The Ihram is known to be a symbol of purity and also signifies that the pilgrim is indeed in the state of devotion. While they wear Ihram, they cannot harm any living creature and they cannot hunt or fight with anyone or use any vulgar or foul language. Perfumes and colognes in excess are also not permitted. Hair was well as finger nails are also to be left in their natural state without any trimming or styling. Any marital relations are also suspended during this time and any weddings are also postponed till the pilgrimage is completed. Apply for Hajj visa with a help of a qualified agent in the home country. The embassy of Saudi does not allow visas for those who are travelling alone. All the travel agents who deal with Hajj visas are to be approved by the Ministry of hajj and also need to have a contract with the local Hajj provider. Quotas are provided for each country for the number of pilgrims. So, it gets important to check on the same. The city of Mecca is said to lack in any public transportation for the resident population as well as for visitors. This is applicable in both the pilgrimage season and in the non-pilgrimage season. One of the main transportation options which are available to commute within and around the city are personal vehicles or private taxis. A metro at a distance of 18kms from Mecca was opened at Al Mashaaer Al Mugaddassah Metro was started in the year 2010. 5 metro lines from this place are known to carry the pilgrims to the religious sites in Mecca. People who travel to Mecca from other countries can avail the services which are available at Hajj or Umrah. The city of Mecca is also said to have a small airport but has to airline service. 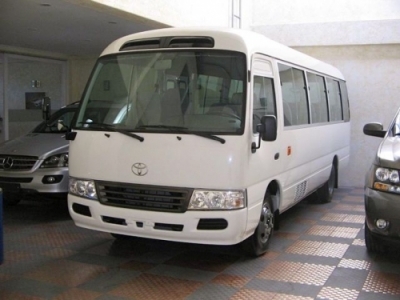 Hence most of the pilgrims take the services from Hajj from its King Abdul-Aziz International Airport or some take the terminal at the Jeddah Seaport. Both if these are located at the city of Jeddah. There is also news for a proposal of a high speed intercity rail which is known as Haramain High Speed Rail Project. This project is expected to link about 444 kms and the holy cities of Medina going through Jeddah, King Abdul-Aziz International Airport, Rabigh and the King Abdullah Economic City. This project is said to be taken by a firm from Spain. There are a number of shopping malls in the city of Mecca. One can get good bargains, especially while shopping with the local shops. 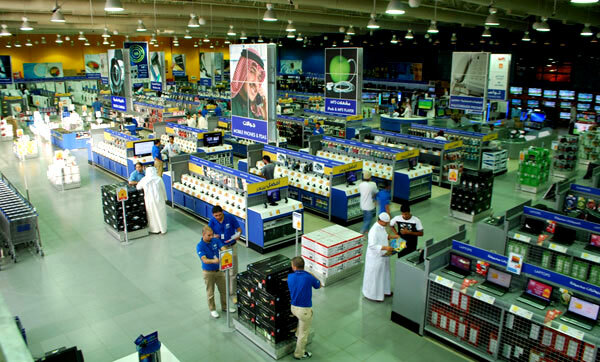 One can find a number of local as well as international brands in Mecca. If you really wish to purchase the perfume oils which are also known as Attar, one can get them at good prices from the well known Arabic brands and shops. There are also a number of local shops from where one can buy things like prayer mats, Abaya, Thawbs, Islamic hats and many more. There are quite a lot of amusement parks near and in the city of Mecca. Some of the most famous amusement parks which are available for the tourists which are located in Saudi Arabia are Al Qalzam Park, Alamwaj Amusement Park, , Al-Shallal Theme Park and Al Nawrus Park to name a few. 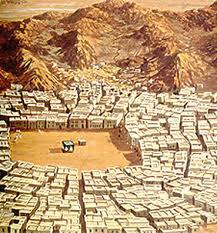 The place of Mecca is always surrounded by the dry hills and mountains. Any Muslim has to pay a visit to this pilgrimage to his place and is known as the five pillars. Non Muslims are permitted entry into this place. 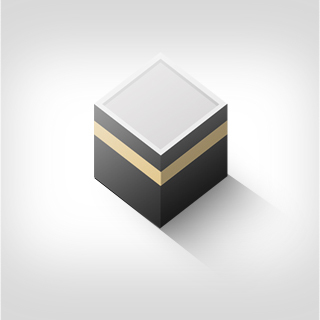 The focal point of Mecca is known as the Kaabah is also known as the house of God. Most of the festivals in Mecca are religious and non Muslims are not allowed to participate in such events. There are many checkpoints which lead to the city where they check if the person is a Muslim or a non Muslim. Ramadan is one important event which is mandatory for all Muslims. In a lunar month, they fast for the day until sunset. They follow the same for the complete Lunar month and once the month completes there is a great feast in the name of Eid Ur Fitr. The festival named by Eid Ul-Adha takes places during the period of Hajj and this festival also commemorates in response to the willingness of Ibrahim to pay his son Ishmael as a sacrifice over the command of Allah. One non –Muslim festival which takes place in Mecca is the Jinadriyah National Festival. This festival takes place every year in the month of February and this is always inaugurated by the Crown Price. This festival is held to celebrate the rich culture as well as the Arabic heritage and has seen a lot of transformation in the past twenty years from the time it was started. This is also one of the most popular events among the nationals of Saudi. This is a two week festival which includes festivals like camel race and also initiates music, celebration as well as national dances. If you are travelling to Mecca with your kids, then it is advised to rent a trolley or a wheel chair for the kids to get seated. There is no availability of a crèche in Mecca and hence taking a stroller can be quite helpful as kids tend to get tired while walking. The couple can also take turns while performing the prayer so that each of you can equally concentrate on the prayer which is the main reason for your visit to this place. One can find food of all cuisines in Mecca which ranges from the Arab food to the Asian delicacies. One can also find well known American Fast food centres in this place like Kentucky Fried Chicken or the world famous Dunkin Donuts. If you are a pizza lover, do not worry as one can find a number of pizza corners around including the Pizza hut. Food which have pork, Ham or which involves any part of pig is not served in Saudi as this is forbidden by the law of the country. Do not forget to treat yourself to the number of variants which are available in dates and dry fruits and nuts. Almost every second shop in Mecca sells dates and one can find the best quality of dates as well as dry fruits in this place. Many stores here offer fresh dates as well as packed ones which can be taken along to your home place. The famous of the ones is the Ajwa Kajoor, and this is said to be recommended by the Prophet Mohammed himself as it is known to contain some special healing powers. Hence, this is also one of the most sought after of all the dates. This is small in size and black in colour and tastes very sweet too. BOMBAY DLITES: One can find some good Indian food in this restaurant. Heraa Restaurant: One stop for traditional Mecca food. Bin Dawood Date Centre: Get dates in abundance.